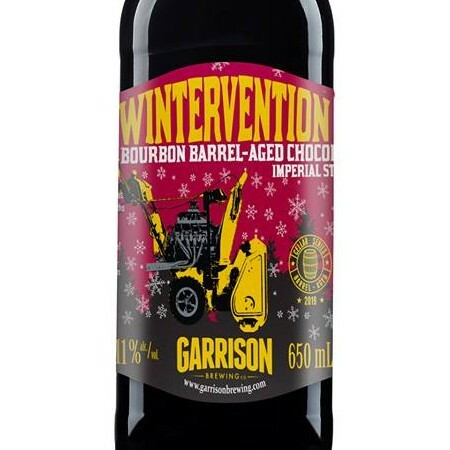 HALIFAX, NS – Garrison Brewing has announced the release of the first of four barrel-aged variants of its seasonal Wintervention Chocolate Imperial Stout. Cherry Bourbon Barrel-Aged Wintervention (11% abv) is a portion of the 2017 edition of Wintervention that spent almost 2 years aging on cherries in bourbon barrels. The “dark and delicious” beer is available now at Garrison in 650 ml bottles selling for $15.95 while supplies last. Details for the three remaining beers in the series will be announced as they are released in coming weeks.